You are here: Home / Palm Reading Chart / Is It Bad Luck To Get Your Palm Read? 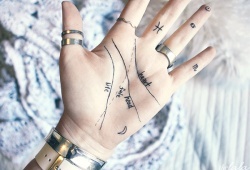 Palmistry (also called hand analysis or palm reading or chiromancy) has been around in the world for a long time. In these days, this ancient method has become popular. It’s unquestionable about its prophetic energy and power when it approaches to forecasting someone’s future. Does having a reading hand is an interesting experience or is it bad luck to get your palm read? You are able to see someone who just observes your hand and say something i.e. “Some bad luck might come your way” or “You will have a healthy life” In fact, it doesn’t sound simple like that because palm reading is more advanced and complicated. There are tons of things to analyze and look to. Right now, we just introduce some basis that you need to know when coming to the palmistry world. The Heart line – If this line starts under the index finger, it means that your love life is so gratifying. If it is under your middle finger, you might be selfish in love. In case that this line starts between the first and middle finger, you could fall in love with ease. If your heart line has a circle, you might suffer despair or unhappiness. The Head line – This line is known as the line of wisdom and intelligence of a person. If you have a wavy line, you will own all creativity. If it’s a straight line, you re rather practical. In case that you have a short line, it means that you love going out to do something rather than staying at home. The Life line – Another name for this line is the line of destiny because it introduces human traits as well as other important occurrences in your lifetime. 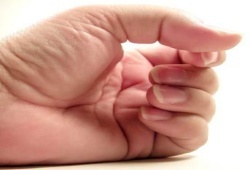 If your Life line is near the thumb, you might feel exhausted all times. If it’s short and near the edge of the palm, you will be cautious about relationships. The Fate line – This line is used to disclose mysterious things about your future. If you own a deep line, it means that you are easily controlled by your fate. In case that there are many breaks in this line, your life is affected by the external influences. Believe or not believe in palm reading? 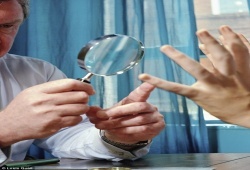 The fact is that the palm reading‘s technique is not supported by any type of empirical or scientific proof. It is only an issue of personal belief so that you can recognize some believers and non-believers. It might not be accurate to decline palm reading as a trick since there could be some people who have really mastered this method. Nonetheless, the palm readers have been encountering repeated judgment in recent years. It’s because they often tell people what they want to listen to or what might frighten them. It is essential to comprehend that not everyone who suggests being a palm reader can truly read palms. Indeed, it has been proven that people suggesting being an actual reader have no knowledge about the technique whatever. Some people have made predictions for their business, and it’s considered as an easy way to take money from the others. Well, the appearance of fake readers are found in every corner of the world today, making the most of people’s anxieties and showing them wrong hopes of happy future. No matter what you perform palm readings on your hands or have someone do the readings for you, it’s known as the most exciting divinatory methods. Provided that you remember that prophetic consequences are only suggestions, then you can avail this reading to improve your life. Freely to submit all your enquiries about the question “Is It Bad Luck To Get Your Palm Read?” in our free inquiry box here. We’re happy to help and support you. what type of person gets there palm read? Previous article: Which Palm Do You Read For Marriage Line?